WE OFFER A MODERN SOLUTION TO AN ANCIENT DILEMMA. NO EMPTY PROMISES ...... JUST RESULTS! Our practice stands for INTEGRITY, EXPERIENCE, EFFECTIVENESS, PROFESSIONALISM. Our success is measured by the number of client's lives we positively impact! 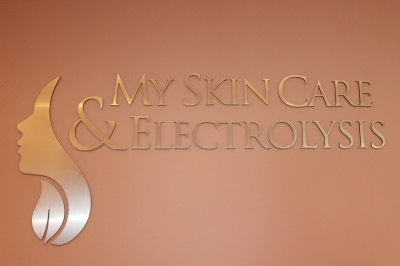 We are here to provide you with the best, most professional electrolysis hair removal service in Central and Northern New Jersey that is available today. We have 2 offices conveniently located in Bergen and Essex county NJ. Browse our site to learn more ! The only medically proven and FDA approved method of permanent hair removal. Specializing in most difficult hair removal cases and women with PCOS. Electrolysis clean up after laser hair removal. We are highly recommended by local New Jersey physicians. We are located in a professional medical building. We utilize the latest Apilus computerized state-of-the-art electrolysis equipment for the most comfortable and effective permanent hair removal procedure available. Sterile and disposable probes used. $10.00 OFF 1/2 hour or longer treatment for the first time clients only!